You must make reservations at least 5 minutes in advance of the time at Sam’s Grill & Seafood Restaurant. Local public garages or street parking after 6:00pm. BART and MUNI: Montgomery St.
Dominique offers American cuisine with a French twist. For more information please call our catering office or check our catering web site for ideas: www.twist-cafe.com. 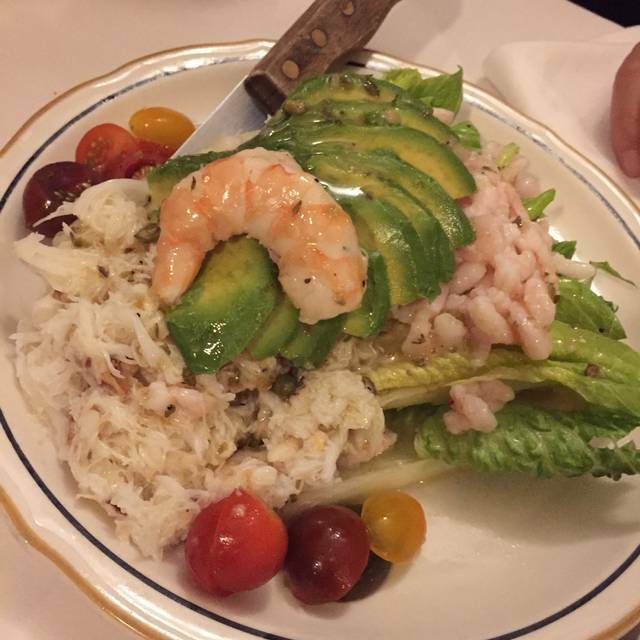 Serving fresh fish and classic San Francisco dishes from the gold rush to the California food revolution in 1970s, Sam’s Grill is the fifth-oldest restaurant in the US, opened in 1867, shortly after the California gold rush. 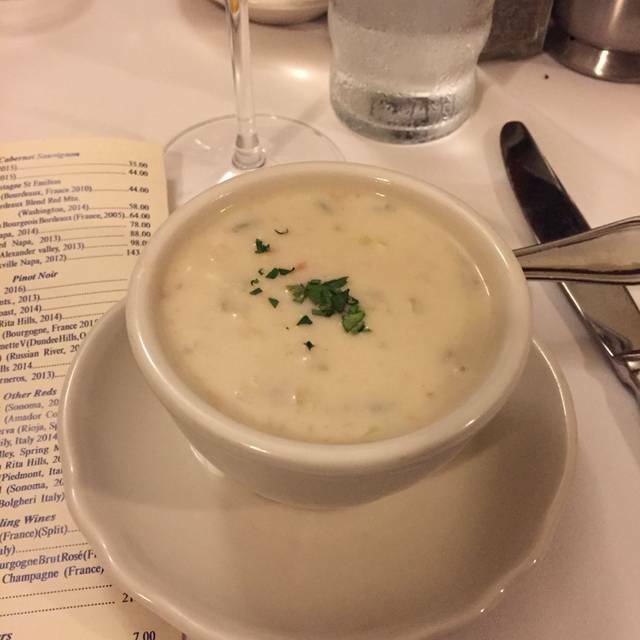 Sam’s takes pride in serving exceptionally fresh and local seafood alongside classic San Francisco dishes from the turn of the century. 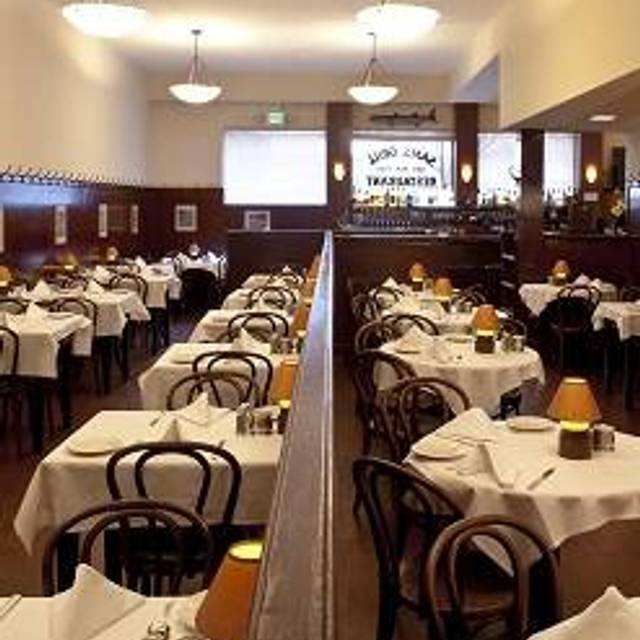 Boasting old-school curtained booths, and superior traditional formal service by waiters in tuxedos, Sam’s has been a cornerstone of the San Francisco restaurant scene for over 150 years. Come join us, and take a step back in time to a more civilized time where lunches always start with a cocktail. Sam's Grill & Seafood Restaurant accepts reservations for parties of six or more at lunch. All party sizes are accepted for online reservations at dinner. Parties with less than six guests will be first come, first served for lunch. It was busy tonight so everything was a little slow. Still enjoyed the experience. Old school San Francisco- possibly oldest school. You simply can’t go wrong for any occasion. Great food, great service and great ambiance! I had the steak and my wife had the sautéed shrimp, both delicious! The bar next next door (Sam’s Tavern) had a great atmosphere and they made one of the best manhattans we’ve ever had! We’ll be back for sure! Definitely recommend! The best of old San Francisco. This is an old style restaurant with classic dishes and old fashioned attentive service. Loved it. For the price food is not that great. Food very bland and not much flavor. Dinner with my family while on vacation. Great place, friendly, unique if you sit in one of the private booths. Our server, Nicola was the best, friendly and very attentive. We were very disappointed with the overall experience. We visit the city a couple of times a year for shopping and dining. This time we thought we’d try a new restaurant based off of availability and location. The website pictures depicted a bright and bustling atmosphere; unfortunately, that is not at all what we experienced. We were seated in a booth with a curtain, at the back of the restaurant. This room had no ambiance and was dark and dreary. The food was also disappointing - lacking seasoning, and it was very pricey for its less-than-impressive taste. 😞 Sadly, we do not recommend this restaurant and will not be returning. This is great vintage food. So nice to not have the same old thing. Celery Victor appetizer is fantastic. So much to choose from all classically prepared with excellent side dishes. Great food with great service. Good martinis too. Like stepping back in time. A real treasure. Terrific evening and excellent service and food. Really enjoyed the ambiance and warmth of this wonderful landmark. RSA conference with cozy table for 12 - remarkable. Old school charm. Always nice to return to an old favorite. Waiter was fabulous , attentive doc good sense of humor. Went after Hamilton, nice place for an early dinner. Took friends who had never been, they loved the old classic SF feeling and the food. Same reliable service and very fresh seafood. We really enjoyed the dinner. We had a great time at Sams. Great food, great service and loved the booth seating. We love this place. It's definitely classic SF, with its old wooden vibe and booths. The menu is very diverse and almost everything is great. My wife had the scallops with a mushroom reduction. She was pretty bummed when they came baked in an oyster shell as it was not what she had expected at all. About 5 minutes later she had eaten the entire thing and was trying not to lick the inside of the shell. 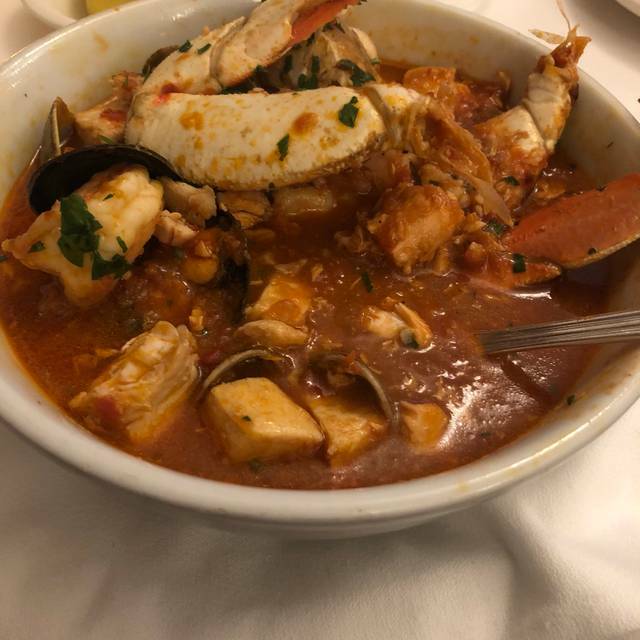 I ordered the cioppino and it might have been the best I've had (top 3 for sure). It's not cheap, probably average price for a nice SF restaurant, but it's very reliably great. The food and ambiance are great. Beautiful old restaurant. However, our server added two tips to our bill. One for $75, which was accurate and another one for $95 which belonged to another party. We pointed it out and after several minutes of him reviewing the bill, he said, he had included the tip from the other party because they had "stiffed" him on the tip. We insisted that the $95 inaccurate tip be removed. the manager got involved and we waited 35 minutes for the issue to be resolved. No mention of inconvenience or any kind of compensation; free dessert, etc. while we waited......Will NOT recommend. A wonderful evening. Great food, great service, and the ‘booth’ experience was really fun. A memorable night! It was closed, despite me being able to make a booking. The food and service were great! The only negative point was that our entire party found the tables a little uncomfortable. They were too low for the chairs. Noisy table by the kitchen despite reservations. Superb food, reasonable prices, and professional service. Great food, excellent service. A delightful surprise for a quick decision on a rainy evening. Lucky to find this wonderful place. Had a great meal, our waiter was outstanding. Next time we are in the city we will be back. Our dinner was disappointing. The quality and taste of our food was way below the average. I had chowder and salmon. My salmon was supposed to be grilled but tasted as pan fried. My wife's fish did not taste good and was greasy. 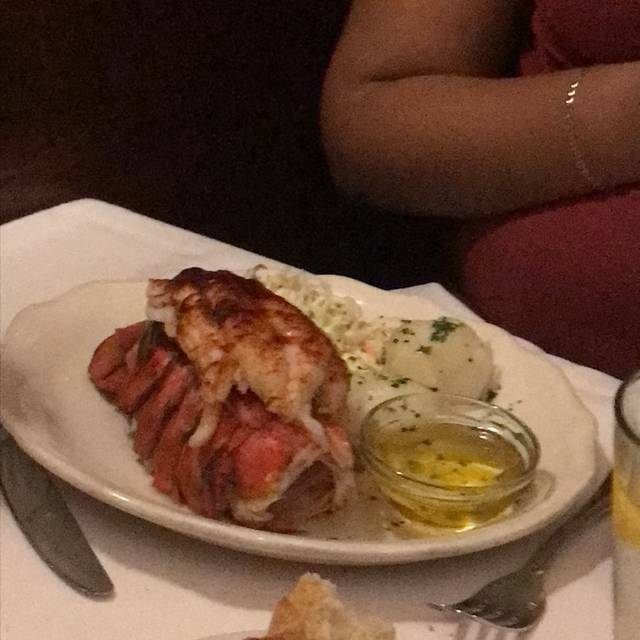 She left almost all the fish on her plate. No one asked if something was not right. We will not come back. Best fish house in San Francisco! Oysters were superb and rex sole was wonderful. Kids had a great time too. Fabulous drinks! railings and partitions! Quiet atmosphere conducive to relaxed dining and conversation with no Muzak or distracting and too loud “club”music. Menu is classic seafood choices among appetizers and entree and some grilled meats. Side dishes are well balanced. 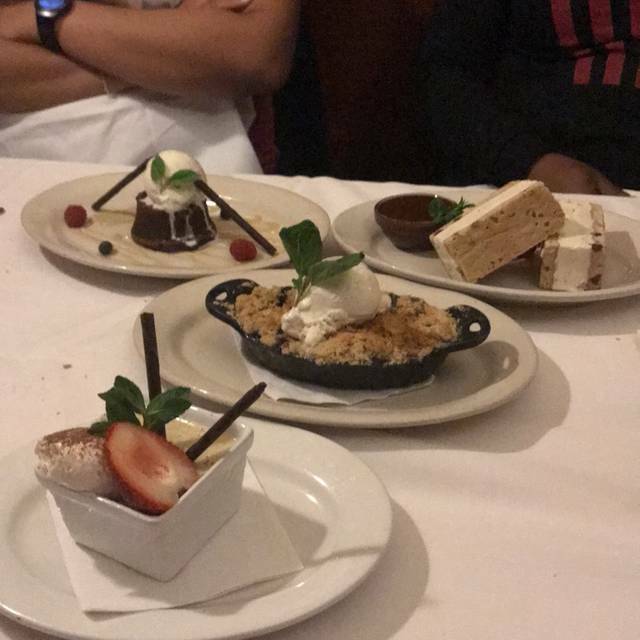 Desserts are light and delicious. As other reviewers have said, this is a very old style restaurant. The private booth was great and quiet for being able to hear each other. 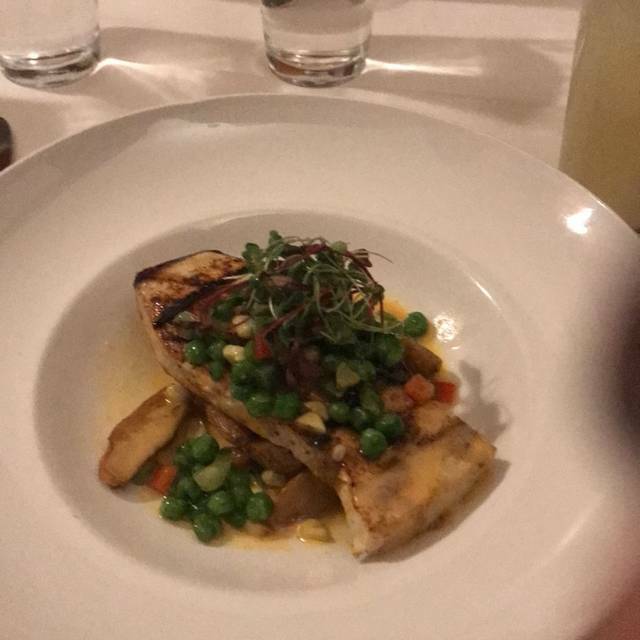 We each had the petrole sole prepared different ways, mine which sauteed, was fresh and well prepared, but my husband had the stuffed preparation and it was a small portion and mushy. The brussel sprouts were good, but overall the food is average for the price. Long time fan of Sam's. Unfailing great seafood. Out of Rex Sole ala Sam's and no Sandabs or Sweetbreads--perhaps we were too late. Classically perfect Sour dough bread and Martini's. Iconically San Francisco. Service impeded because they were too busy -- nice kind of problem to have. 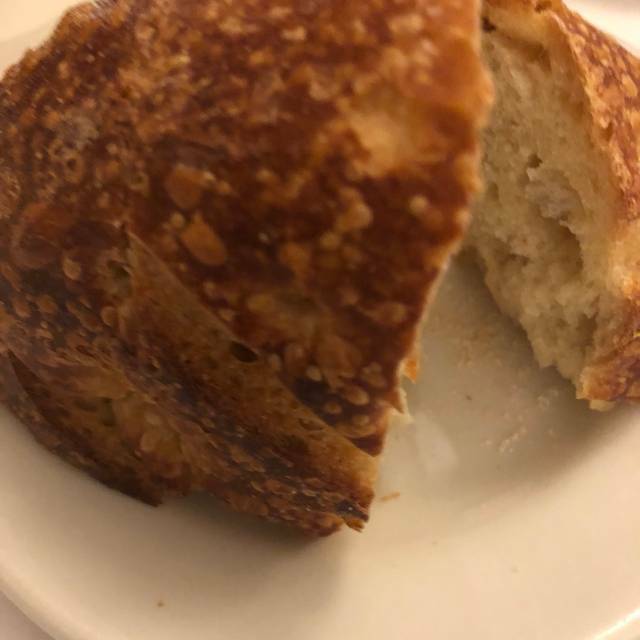 Sam's is now my go-to rest®Anthony in the city! Period! Only get to San Francisco once every two or three years and try to visit Sam's at least once a trip. A great Italian restaurant. Wonderful atmosphere, great service (this trip Stephano did a marvelous job for us) and excellent food. Reasonably priced for the area. Nice wine list as well. 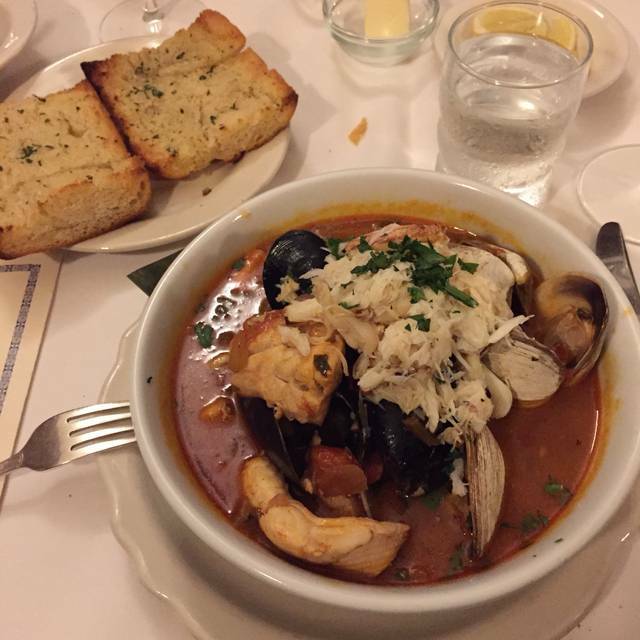 This is a can't miss if you enjoy traditional Italian. I always enjoy taking clients to dine at Sam's Water Grill! One of my favorites and a MUST if you are in San Francisco! Excellent overall experience. Great food, service and classic dishes with a modern flair. Not pretentious at all. Really enjoyed dinner with a friend there. Petrale very good. Creamed spinach not what it used to be and not that good. Pannecotta good, hot fudge sundae not.